Chester County Hospital continues to expand its coverage, and to do so, they’re gonna need a bigger building. It’s a phenomenon familiar to anyone who’s ever undertaken a home renovation or DIY project: you identify a situation (this room is looking drab! ), pinpoint a solution (let’s rip up this tired carpeting! ), and like a Hydra, another issue grows ahead to replace it (these new floors make the wall paint look terrible!). But going through those steps is how you end up with the space you want and need. For the folks at Chester County Hospital, it’s been a similar situation, but on a much, much larger scale. How much larger? A 250,000 square foot expansion along with a 26,000 square foot renovation. 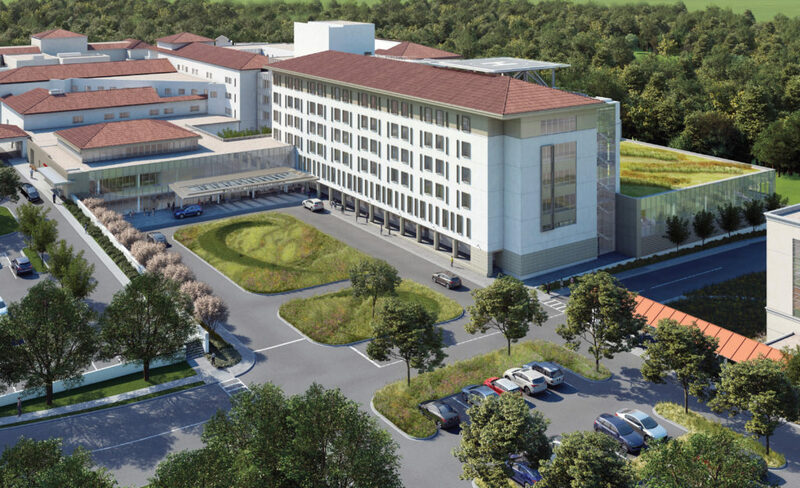 Happily, they are past the identifying and pinpointing stages and are now well on their way from the planning to the implementation of the biggest expansion ever undertaken at the facility, according to CCHS President and CEO, Mike Duncan. “I’ve been at CCHS from almost eight years, and the hospital was in fine shape, from a good patient satisfaction level, high-quality medical staff, great culture stand-point, when I got here,” Duncan told us. “At that point, though, we still had a fair number of semi-private rooms, so we needed to begin building. That’s when we built the Lasko Tower.” That project, in 2014, added 72 patient rooms for cardiac patients, orthopedic and surgical recovery units, and a mother and baby pavilion, and updated the hospital to essentially all private—as opposed to semi-private—rooms, which has become the industry norm, particularly in suburban areas. A couple of the concepts considered in the design were not only the history of Chester County, but the geography of it. 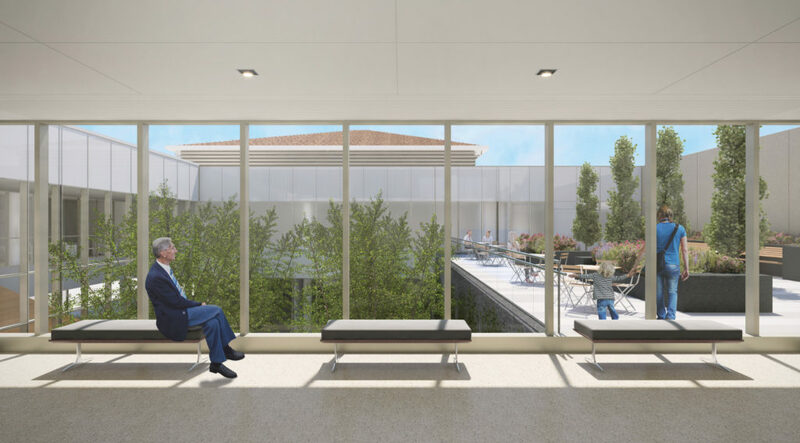 So it was not only important to maintain the hospital’s architectural elements, but a lot of glass is incorporated into the project’s design so that people inside the hospital—whether patients or staff—can look outside and see the physical beauty there. “Right now, if you walk into an operating room for your eight- or 10- or 12-hour shift, you won’t see the outdoors again until you get in your car to go home,” Duncan told us. 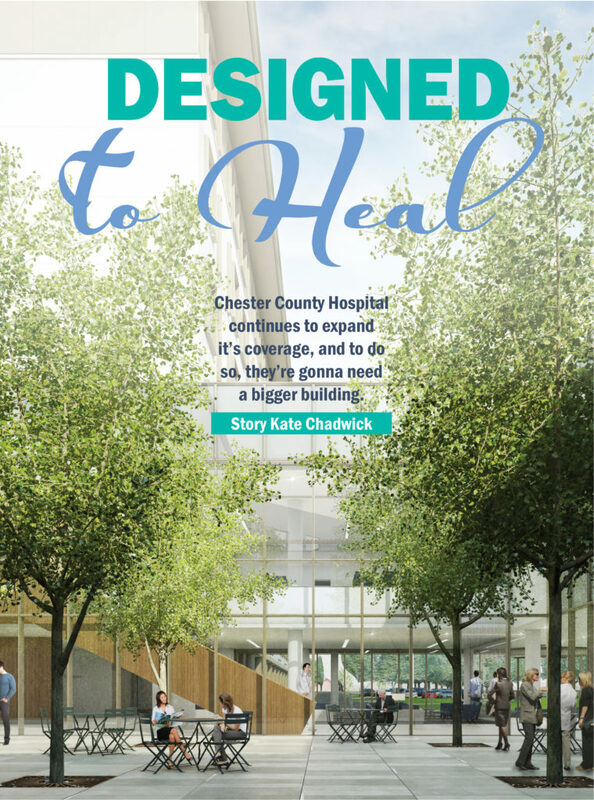 “In the new structure, there’s glass right next to the operating room, so between cases, a nurse or doctor or tech can step out into a quiet space and look out onto the beauty of Chester County.” There will also be several interior courtyards with trees, and a huge green roof on top of the operating rooms.